Water leak repair on the Gold Coast. Do you have a water leak on the Gold Coast bothering you? Capital Plumbing and Electrical are offering services covering the Gold Coast and South Brisbane suburbs. Our plumbers work efficiently to assist with any problem quickly and effectively to make sure you get the best service possible. So if you’re needing help with a water leak repair on the Gold Coast, contact us today. Our friendly plumber, Michael, attended a property to fix leaking taps in the kitchen, our plumber needed to remove the existing handles, spindles and washers. The tap seat was then reseated to remove any flaws. 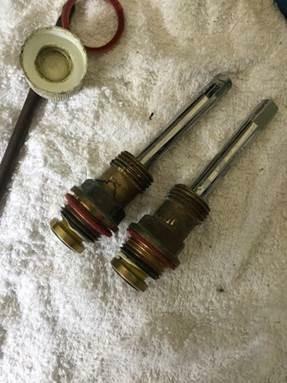 Our plumber then replaced the oring and additional grease was applied to the spindle shaft to inhibit corrosion and to extend the life of the spindle. This also makes the tap easier to use. Michael then replaced the leaking kitchen spout that wasn’t water compliant and silicone the leaking pan collar on the toilet. When Michael left the site the customers kitchen tap and toilet were working again. So, if you need a water leak repair on the Gold Coast, give our reception a call and make a booking today. Backflow testing – are you due? 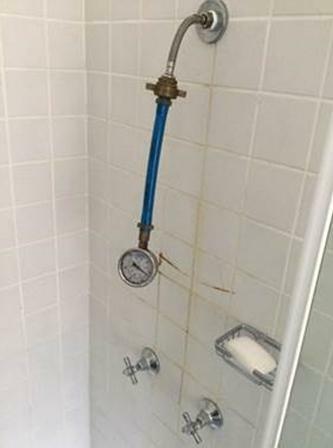 Shower leaks on the Gold Coast!